X marks the spot! 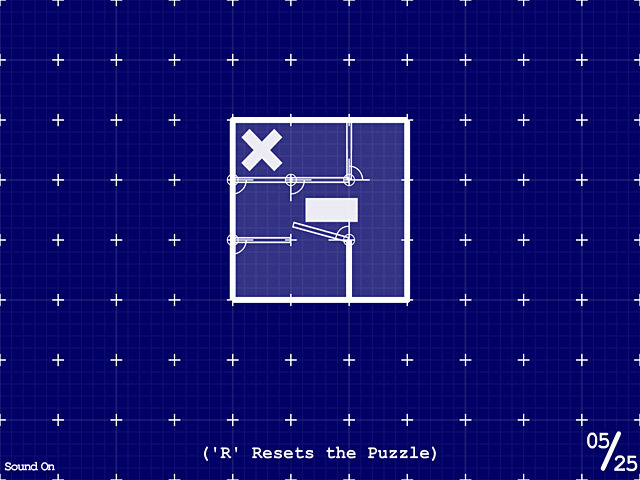 Maneuver your way through a draftsman's nightmare of swinging doors in this precision-designed puzzle game!A floor plan for fun!X marks the spot! 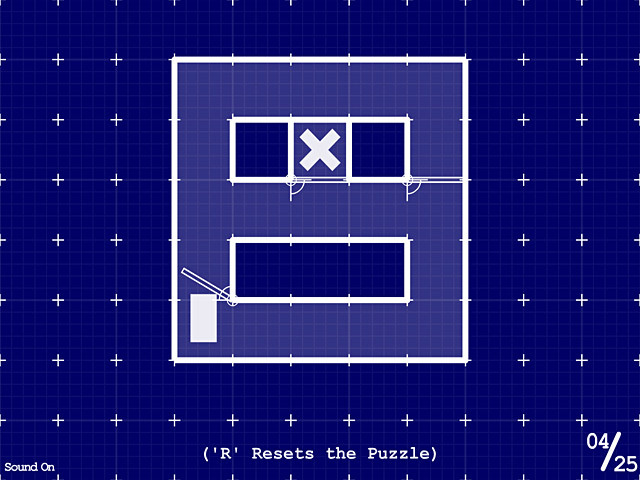 Maneuver your way through a draftsman's nightmare of swinging doors in this precision-designed puzzle game! 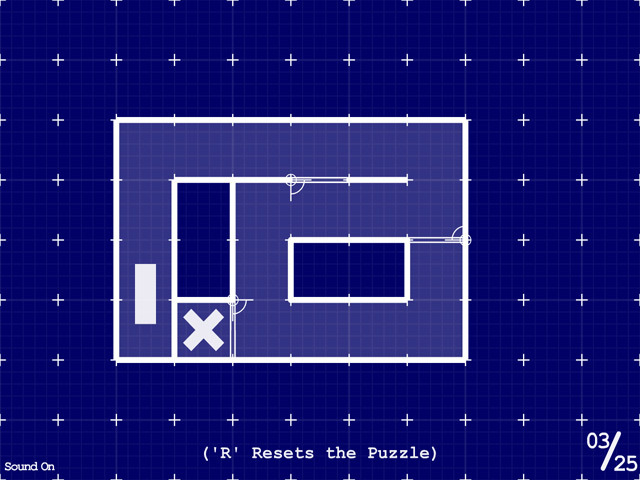 Test your wits with 25 levels of lintel-laden labyrinths! Spend a while re-familiarizing yourself the with the workings of the world's most popular architectural orifice, before setting off to reach every goal. 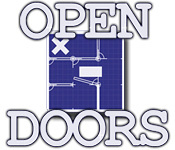 Take the blues out of blueprints with Open Doors!